2014 brought a number of new developer names to the Wii U eShop, in particular, one of which was Wales Interactive. 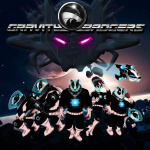 Its first release on the home console was Gravity Badgers, a physics action puzzles that provided some fun and was relatively well received. 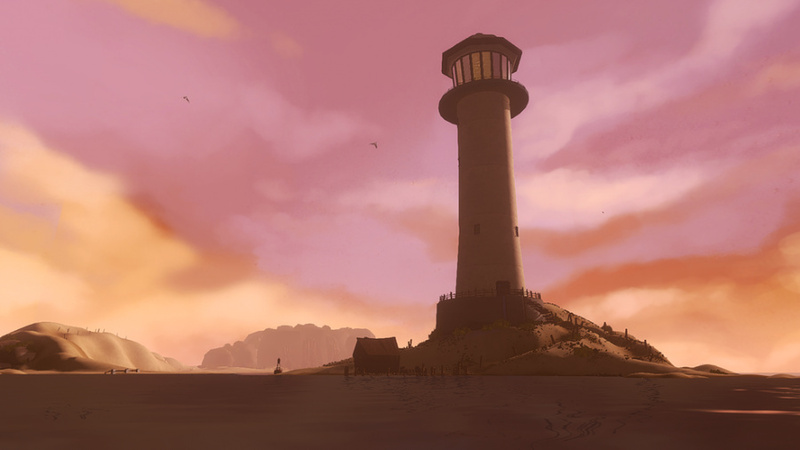 It then showed an entirely different side with Master Reboot, a first-person puzzle adventure experience that also introduced elements of horror. It had a unique look and, importantly, showed a refreshingly creative approach that helped it to stand out - at release - on the Wii U's store. Both titles were strong efforts, and we certainly consider Wales Interactive to be in good company with a number of other highly capable Indie studios on the eShop. Encouragingly its experiences with Wii U have been positive enough that the company is continuing to bring its games to the system in the coming year, with Soul Axiom catching our eye. We caught up with the studio to learn more, and to start off looked over the last 12 months with 3D Artist / Marketing & PR man Ben Tester. First of all, can you give us an overview of Wales Interactive, for those not yet familiar with your work? We are a BAFTA Cymru award-winning Indie games developer based just outside of Cardiff in Wales. Nintendo fans may have heard of us from our recent titles, Master Reboot and Gravity Badgers or from our upcoming Wii U game, Soul Axiom, which has just been officially classified as one of the first British games by the BFI (British Film Institute). Starting out as a two-man team, Wales Interactive has grown to around 14 strong and we are now Wales' biggest game developer & publisher. In 2014 you released two titles on Wii U, so can you walk us through the initial process of registering with Nintendo and porting these titles (Gravity Badgers / Master Reboot) to the system? Were there any particular challenges with the porting, for example, or was it relatively seamless? The process was quite straight forward actually and not a great deal different from the Sony or Microsoft provisioning. Nintendo will have to agree to your concept then you get all the relevant codes and away you go! There is a chunky technical specifications to adhere to but Nintendo's technical team were really great at helping us solve any problems we couldn't fix ourselves. Believe it or not, the hardest thing to get through was the mandatory e-Manual! Nintendo places strict regulations on how things should be laid out and worded, which has caused our submission to bounce a couple of times. Other than that, the process has been pretty smooth. As you utilise Unity is it fair to say that Steam on PC is your company's natural home at the moment? How would you compare and differentiate between that platform and the eShop? Since Master Reboot was released on Steam in 2013, we have naturally turned to that platform for our other games as we are most familiar with the process. It's a great place to start, especially with the help of Greenlight and Early Access. The problem is, because of those types of services, Steam is becoming the Wild West for releases and it's getting harder for the smaller developer to get noticed. In terms of comparison, I think the eShop is a bit more of a niche market that will carefully select games more suitable to its target audience. Nintendo also have a certain standard of quality the games must adhere to, which is great for the gamers not having to worry if they're about to buy a game that's full of bugs! Have you noticed a big difference in the respective audiences and how they react to your games, and have you been happy with the commercial performance on the Wii U? So far, we have had an overwhelming response from the Wii U audience. Games like Master Reboot and Gravity Badgers seem to fit in well with what the Nintendo gamers want to play and hopefully the same will be said for our future Wii U releases which we hope will live up to our fans expectations. When compared to the Wii U, We find the reactions from the Steam audience more varied and generally we feel the games are more scrutinised here. Though, this may just be more visible to us due to the review system on Steam. You're bringing more titles to Wii U in 2015, can you outline these for us? I am pleased to tell you that we will indeed be bringing two of our titles to Wii U in 2015. Soul Axiom and Infinity Runner. Infinity Runner is a fast-paced sci-fi action running game which takes place on a massive decaying space ship called, the Infinity. You are challenged from a first-person perspective to escape from the gargantuan ship with the use of quick reflexes to dodge evasive elements and combat sections to fight your way past your enemies and danger that lurks around your every corner. How would you summarise 2014 for the company as a whole, and more specifically in terms of those Wii U releases? 2014 was a huge success for us here at Wales Interactive. It's only our second year running and we have many achievements to be really proud to shout about. We have picked up various awards from Microsoft's Beautiful Games Contest, South Wales Business of the Year and Appster's Award for Best Indie Game Developer 2014. We are also thrilled to have developed games for both PlayStation 3 and Wii U, where we have been highly praised for our work. Master Reboot especially, has been well received by the Nintendo critiques and we look to improve on that with Soul Axiom. I just want to thank Nintendo Life for giving us this opportunity, as well as giving a shout out to all our fans who have supported us along the way. We hope you're looking forward to playing Soul Axiom and Infinity Runner on the Wii U in 2015! We also previously caught up with the studio's co-founder and Managing Director, Dai Banner, who is a leading light in producing concepts and art-styles that differentiate Wales Interactive from rivals. The focus of this conversation was Soul Axiom, which is shaping up to be an intriguing experience on Wii U. Please note that there are minor spoilers around the Master Reboot setting below. Can you introduce Soul Axiom and its relationship to Master Reboot? 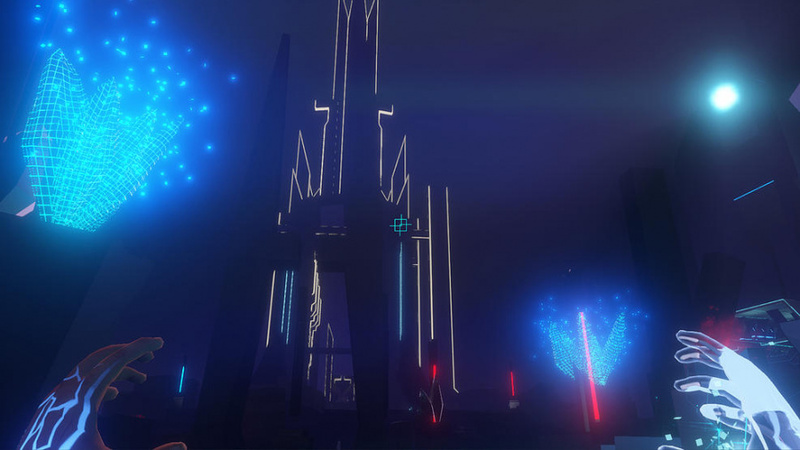 Soul Axiom is a spiritual successor to Master Reboot, carrying on in the sci-fi adventure game genre. Exploring a similar premise, uploading of memories, saving of souls; not too distant a future where we have Elysia, which allows you to upload portions or yourself and create digital copies. People use it to cheat death and become immortal. The visual styles stays true to our simple, low polygon look, but we have raised it up a level to have a little more production value. The narrative is very important in Soul Axiom, too - it's a puzzle exploration game, and over 8-12 hours you have to find out who you are and what's on Earth is going on. The main mechanic gives you the power to will set objects into being and another that banishes these objects - can you outline this for us? In Master Reboot the pick-ups were specific to a level, but in Soul Axiom the power system comes with you. So in the demo you played you saw one of these mechanisms, an early power but not the only one; they come through in the game. There are combinations of abilities to use that allow you to manipulate environments - so the Phase power you refer to is one option, but it's not the only ability. You don't spend the entire eight hours phasing everything in and out! It gets much more complex. Can you tell us a little about other powers we can expect to see? So, you manipulate environments, such as phasing things in and out, making them intangible. You'll be able to play with the environment, physically move and bend the environment, and naturally there'll be a destructive element as well. If you've played Master Reboot we don't really go for violence, even though it's in the horror genre it's more psychological. Soul Axiom continues that, so even the destruction will be creative destruction. With Soul Axiom coming out on multiple platforms, will there be any elements that take advantage of the Wii U GamePad, for example? We have actually done a design document that's just for the Wii U version. It's coming out on Steam first [currently in Early Access], but we have started to plan how we're going to use and adapt to the Wii U's capabilities this time. 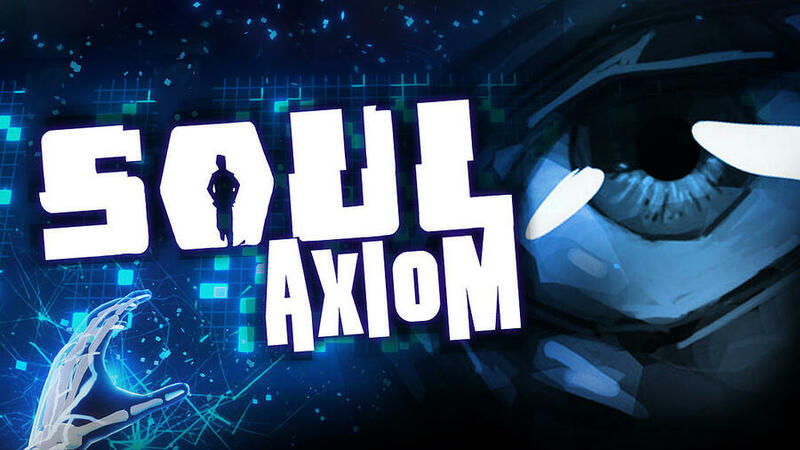 With Master Reboot we just ported it, but this time Soul Axiom will use the Wii U to its best. I can't give too much away, but we will be using the GamePad screen to do more than just mirror the action. So is Soul Axiom a storyline with more of a steady flow, as opposed to the scenario-based approach of Master Reboot? Soul Axiom still follows a scenario-based formula, but an an Indie company we tried everything we wanted to in Master Reboot, treated it like a blank canvas. 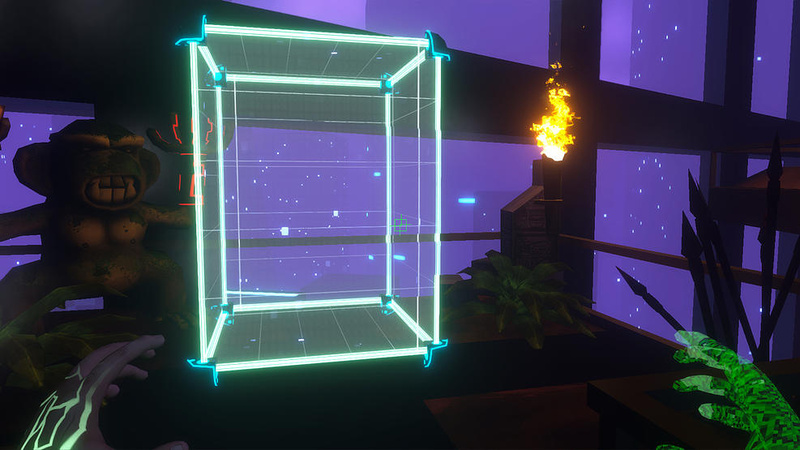 With Soul Axiom we've picked from the community what they liked about the previous game, and we've focused more on those elements. So for example people liked the fact you could go through a variety of environments, through a door and turn up on the beach, for example. That journey will still be there, with lots of nice, interesting locations to journey to. Again, those exploration elements and the way we told the story, people seemed to like that - the fact it wasn't spoon-fed, you had to work for it. That stays true as well - the first part of the game is linear but when you get to the main soul station, called The Hub, that's where the game starts in earnest. That soul station is generated by your character's nature; in Master Reboot Madison's hub looked one way, whereas with this character it's different. From there you'll be given options so that not everyone follows the same path, while there's more potential to revisit levels due to powers you unlock. We want people to feel like the experience isn't just 'done', get in and get out, but in this one there's more reward down the line. People always said "why blue ducks?" in Master Reboot. Well, Madison was a programmer, and you always have little toys lingering around, so her toy of choice was a blue duck. So in the soul cloud they were a messaging icon, a manifestation of here real-world memory. In Soul Axiom it's a different character, different story. I don't think people realise that in Master Reboot the ducks are sent from the outside world, so they're a form of communication. So somebody's sending you facts. They don't tell you a story, but just provide visual clues to understand what's happening. There was a heavy sense of surrealism in the Soul Axiom levels we played, is that more of a factor as the game progresses? It is. As you found there is a purpose, it's not surreal for surreal-sake. I've been making games for 20 years, so I've worked on loads of massive titles before starting Wales Interactive; I've come from an industry all about realism. You're hired, you make a tree look like a tree, so when it came to running our own company we asked why we need to be restricted in that way, so we're not. My background is that of a fine artist as well, so I studied 20th Century art; my portfolio has a lot of abstract paintings. Part of the reason these abstract movements existed was due to photography, and artists had to find a way of doing something that the camera can't capture. So, to try not and be too arty-farty, I've tried to use a style that captures that idea. Why be limited by what's perceived to be real? We have the tools to do anything we want, so if we want to float in the air why not do it? We're trying not to be limited but to still have a story to tell, something to say. Yet there are screenshots you could put in an art gallery, and I'm not just saying that, but very literally in terms of composition and colour. There's an art game running through it, but it's also an entertainment piece as well. Do you feel you're maturing as a company, in some respects, and working on projects you really want to do? Absolutely, though we've always wanted to produce the games we released. Rich and I decide what to do, so there's no higher thought to it. So with Gravity Badgers, Rich said the title and it sounded amazing. We didn't know what kind of game it'd be right away, but we loved the title. We're game developers, ultimately - Gravity Badgers speaks to a different audience than Master Reboot, but we still love the game. We like to make games, and we're unusual in that we've made lots of different games - we like to try stuff and challenge ourselves. 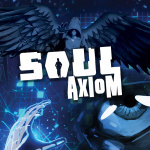 So last year I was sat on the train listing names for our next game, and on there was Soul Axiom. Sometimes a game starts with a name, sometimes with a premise. In our back catalogue we've done some crazy stuff, but that's just us as creative people trying to do something interesting that reaches people. While Soul Axiom has a higher standing that some of our other titles, but I would say that Gravity Badgers [across all platforms] has done half a million downloads, so there's a lot more people like that than Master Reboot. You've got to have a sense of humour in the games industry. I could talk about Soul Axiom very seriously, the nuances of art direction and so on. Yet equally, in our team we laugh and joke, everything we do is in a family spirit. If you took it all too seriously you'd go mad. We'd like to thank both Dai Banner and Ben Tester for their time. I've really been enjoying Master Reboot, and Infinity Runner & Soul Axiom both sound right up my street. I should probably check out Gravity Badgers too. Glad to hear the eShop and Nintendo has been good to them. So that werewolf runner isn't cancelled after all. I really enjoy these developer interviews. Keep up the good work NL, and Wales Interactive! Great interview. I actually havent picked up any of the Wales Interactive games but heard good things about Master Reboot, will be picking it up along with Tengami eventually. Soul Axiom and Inifnity Runner look really nice too. I've been looking forward to Soul Axiom, but now that I hear what Infinity Runner's about, I might be more intruiged about that. My partner purchased both and she's enjoying Master Reboot. If I have one request for developers on Wii U it's to please consider an alternative to using the right stick for cameras in first-person games. I find it very clumsy and less intuitive than the Remote pointer (if you've ever played Metroid Prime Trilogy on the Wii I'm sure you'd agree). If Remote support isn't in the cards then the motion controls of the Gamepad itself should suffice: Nintendo is going to do this with Splatoon and whilst pivoting the Gamepad might not be as elegant it's a compromise I think it worthwhile for people who dislike or aren't used to dual-stick controls. I haven't finished Master reboot yet but so far it's been great. Has its flaws but overall the experience is quite exciting. @Sean_Aaron I want to second that! I've been very disappointed by the lack of Wiimote integration for camera control on WiiU. Mster Reboot was awesome, this Soul Amixo looks outstanding. Agreed. Unfortunately, people think they are better with dual-sticks just because they are used to it. People say using a mouse isn't better either which is just completely insane to PC gamers who know better. For couch play, nothing beats a well-designed wii remote pointing camera and I agree that the compromise with the gyroscope in the GamePad is a good alternative for those who can't adjust to the superior wii remote pointing. I was so disappointed when I learned that the Wii U Pro Controller didn't have a gyroscope in it. Really a shame because after you've used it in games like Wind Waker it just feels so backward to use stick-only. All this said, I do understand why people keep going back to the standard dual analog stick controller design. It's like old comfortable shoes. I loved the controls in Skyward Sword, loved how I had to think differently about everything and got me more involved, mobile games with touchscreens also, necessarily, have inventive ways to play games, but I get a tired of it. It's nice to just grip a controller and know how most things will work. To ramble on a bit, I would much rather the modern designs were closer to the GameCube controllers with bean shaped buttons and other hints to differentiate controls by feel, but the Wii U Pro Controller is great... just wish it had that gyro. In mind, it's a great travesty that Wiimote FPS never caught on and became a standard control method. I know the developer's sorta tried and there are numerous issues to tackle (prime among them is that most gamers don't want to monkey around with customizing their controls to maximize viability, especially with auto-aim as a standard), but the vast majority of games were of your standard fare with depressingly little originality. Really only MP3, Red Steel 2, Goldeneye, and The Conduit attempted to adapt to the platform and realize the potential of the Wiimote + Nunchuk setup... Though they were all good and the controls often excellent... Due to their deritave nature and design only MP3 truly succeeded. And probably too late. That this means we may have seen the end of the Wiimote FPS era is depressing and an afront to my gaming sensibilities. Anyway, these games look solid and I will surely support them right off the bat, as I did Master Reboot. Wales Interactive, you are appreciated. 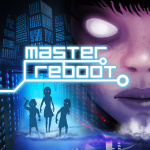 really enjoyed master reboot.. it almost felt like another world in 3d.. or it kind of reminded me of that game.. great news we have another great sounding game on the way! !